CBSE Class 12 Internal Grades 2017 are available to be downloaded on the official website. Today is the last date for downloading class 12 internal marks. As per the Central Board of Secondary Education (CBSE)’s official notification regarding the uploading of internal marks of class 12, today, i.e., 20 Feb 2017, is the last date for uploading the internal marks from its official website: cbse.nc.in. 1. 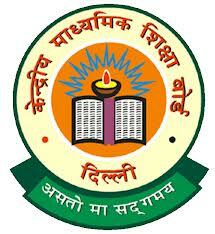 Visit CBSE’s official website: cbse.nic.in. 3. Login using your existing user id (affiliation no.) and password (same as used for class IX/XI registration). 4.Go to option "Download Internal Grade File" (from top menu bar) to download excel file having roll number and internal grade subject. 5. Update the inter grades in the column provided agaist the internal grade subject. 6. Go to "Upload Internal Grade" option and upload the updated excel file. As per the datesheet released by CBSE earlier, CBSE Class 10 board exams will be held from March 9 to April 10 while the Class 12 exam will start on March 9 and end on April 29. The admit cards for class 10 and class 12 for regular as well as private candidates, have been released on its official website.